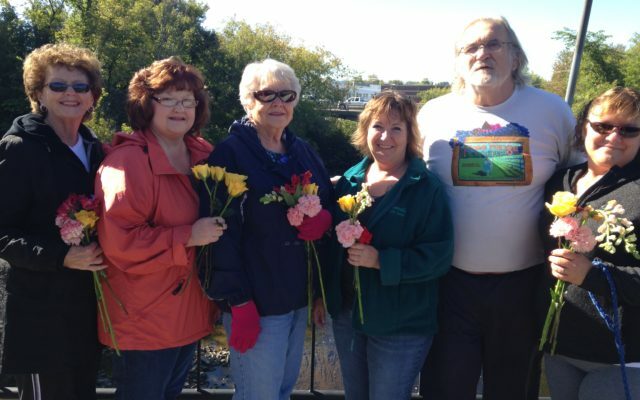 September is Recovery Month and to mark the event, the Link For Hope Coalition will host its annual Recovery Walk Saturday, Sept. 15, at 9:30 a.m.
HOULTON, Maine — September is Recovery Month and to mark the event, the Link For Hope Coalition will host its annual Recovery Walk Saturday, Sept. 15, at 9:30 a.m. The walk will begin at the Houlton Parks and Recreation Center parking lot then go down Pleasant Street, through Market Square and onto the Gateway Bridge, where a brief ceremony will be held. Anyone may participate. This past summer, the Aroostook Mental Health Center received a grant to open the Southern Aroostook Recovery Center (SARC) as well as a Recovery Center in Caribou. The Link for Hope Coalition has been busy this summer holding fundraisers for the new center, since the grant does not cover furnishing the site. The coalition held a bean supper and auction in July and a Mystery Dinner Theater in August. “We thank all of the businesses who sponsored these events and the people who attended and gave of their time, talents and finances so graciously,” Rairdon said. The Substance Abuse and Mental Health Services Administration (SAMHSA) declared September as National Recovery Month to recognize those who have been struck with the disease of addiction. “Because of the stigma of addiction, you might think you don’t know anyone who has walked that road,” Rairdon added. “It’s not easy for many people to disclose they have a substance use disorder. They could be your neighbor or coworker or even a family member. For more information on the Southern Aroostook Recovery Center, visit Link for Hope’s Facebook page.